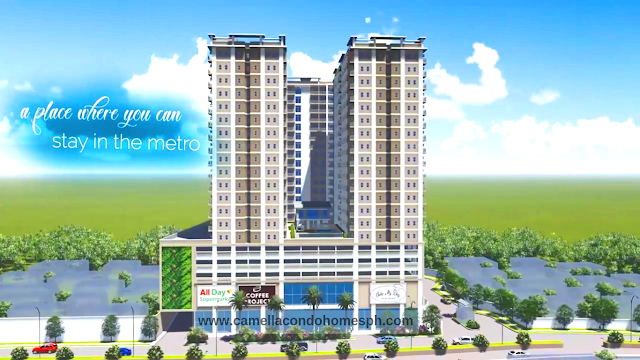 Own a property located next to CAVITEX and CALAEX. From 2.4M to 4M, this is already the best deal with highest accessibility in CAVITEX via Kawit, CALAX via Imus Open Canal, NAIA , BAY AREA and ENTERTAINMENT CITY! Located at Brgy Alapan, Imus Cavite across Camella Bucandala Phase 4. Reserve your unit now for just P20K! 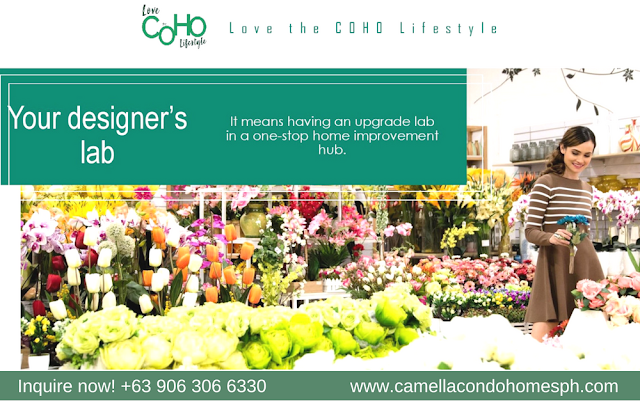 We’re sharing a Condo Makeover Tip today from Camella Condo Homes that will help transform your living areas. Mirrors offer a cost-effective way to dress up empty wall spaces and create a focal point. They can also be moved around easily like portable windows. Large mirrors give the most drama, while small multiple mirrors offer a chic, modern feel. 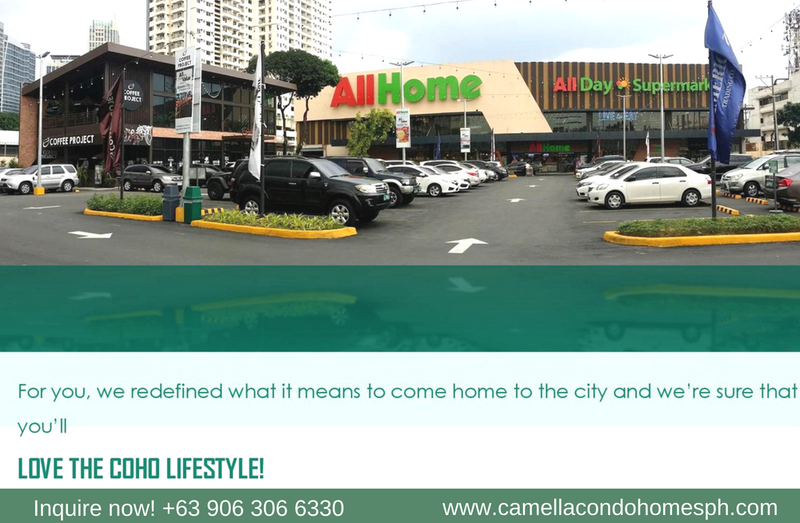 We bring you #11MoreCOHO developments nationwide as we continue to redefine what it means to come home to the city. Discover the distinct and new-generation COHO Lifestyle experience right at your doorstep. What is the COHO Lifestyle? It means living just a few steps away from a luxury mall that offers global retail selections. It means having a world-class cinema as your home theater. It means having a beautiful coffee shop as an extension of your living & working space. 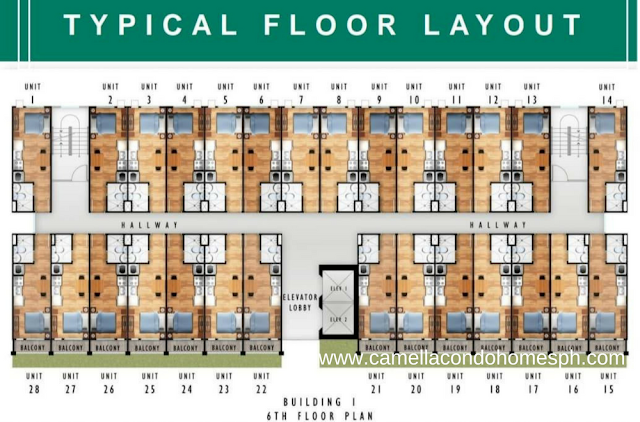 CAMELLA CONDO HOMES - Elevates the lifestyle with our innovative condo home (COHO) concept. 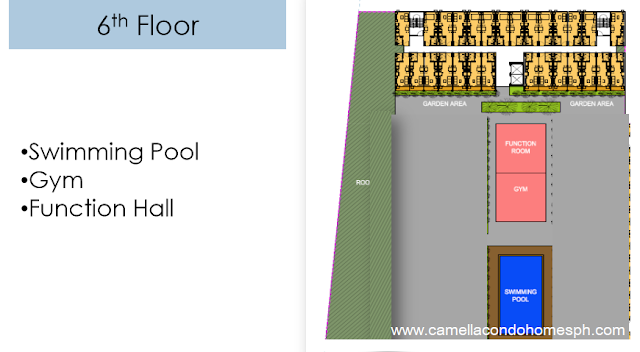 Your co-working space just got bigger and better! Discover how Coffee Project, an exceptional cafe with beautiful interiors and a wide variety of appetizing food can boost your productivity. Appreciate your work with Coffee Project's best-tasting coffee in the company of others. With an exquisite and instagram-worthy co-working space in Coffe Project. 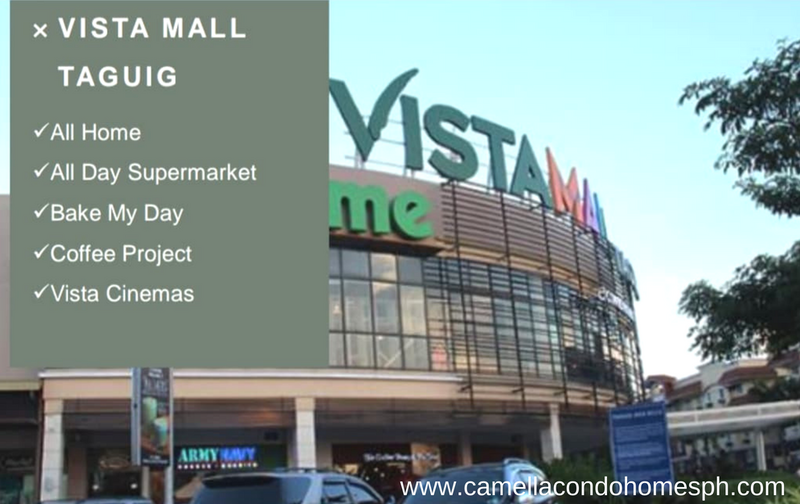 You’ll never leave hungry and empty-handed with the variety of specialized food stations and grocery selections found at All Day Supermarket. Stroll around with your friends and show off your super pantry! Show them how you're living the COHO lifestyle. 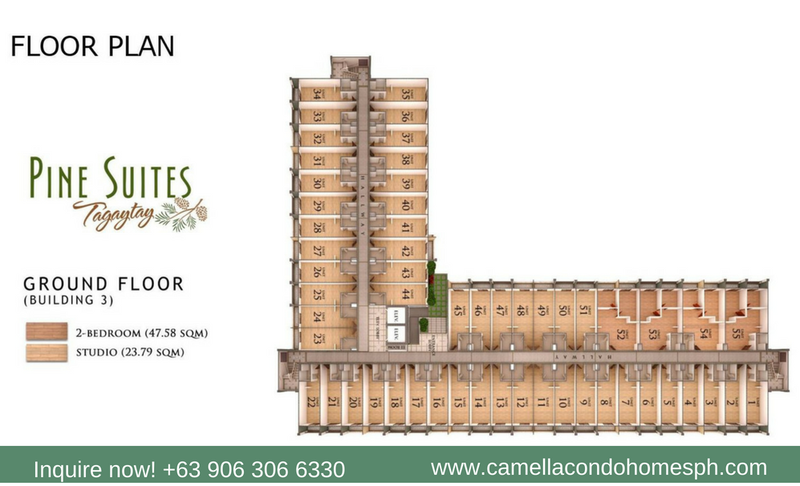 Entertain your most desired condo home upgrade and tell someone about it! Your one-stop-shop design lab readily offers anything from home building, furnishing, to improvements. Let others experience the COHO lifestyle by showing them how much of ‘home’ is in your COHO. Our world-class home theater brings you a sensational movie experience brought about by the MX4D technology that enables you to be a part of the plot of your favorite movie. Intrigue your friends and family to share this thrilling adventure with you today! Camella Condo Homes residential offering in the city is one that transcends the space of an ordinary condominium unit. 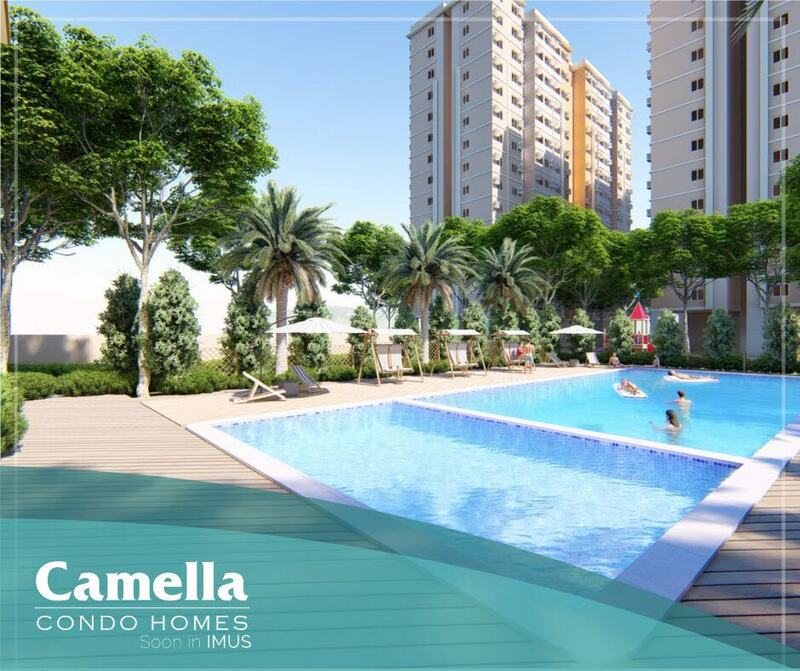 Moving in to the city has never been this easy! Now, you've got all the space that you need for the lifestyle that you want to live. 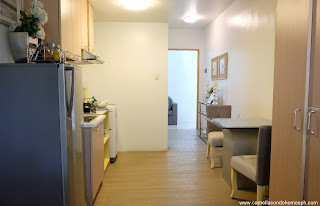 So Move in now with the COHOLifestyle. 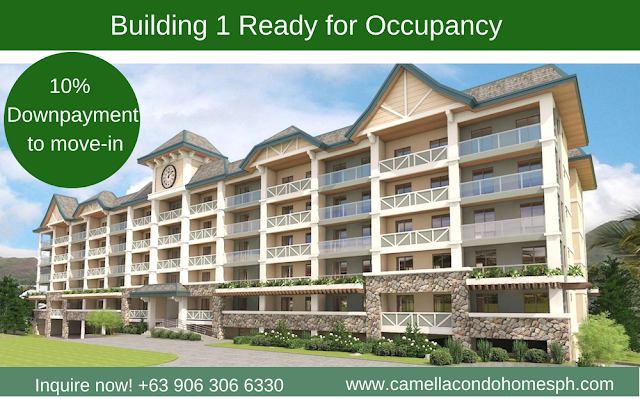 Pine Suites is Camella's newest leisure residential condominium development in Tagaytay. 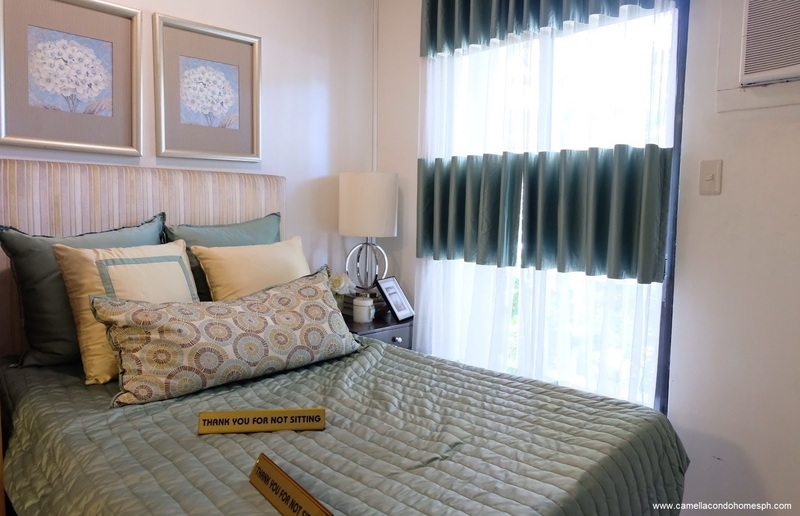 Pine Suites is positioned in a peaceful location along Bonifacio Drive, perfectly placed close to the vibrant restaurant area in the city. 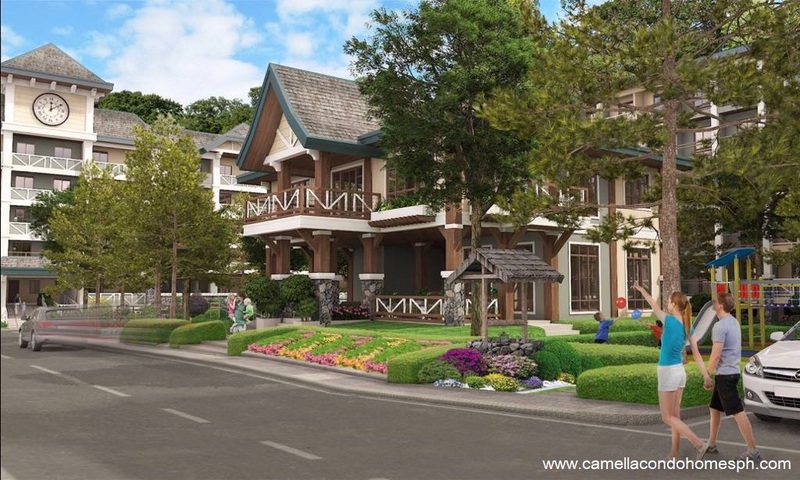 You will surely love the place and the outside really completes the package. This would be perfect for an investment, a place for holiday vacation or your permanent residence. 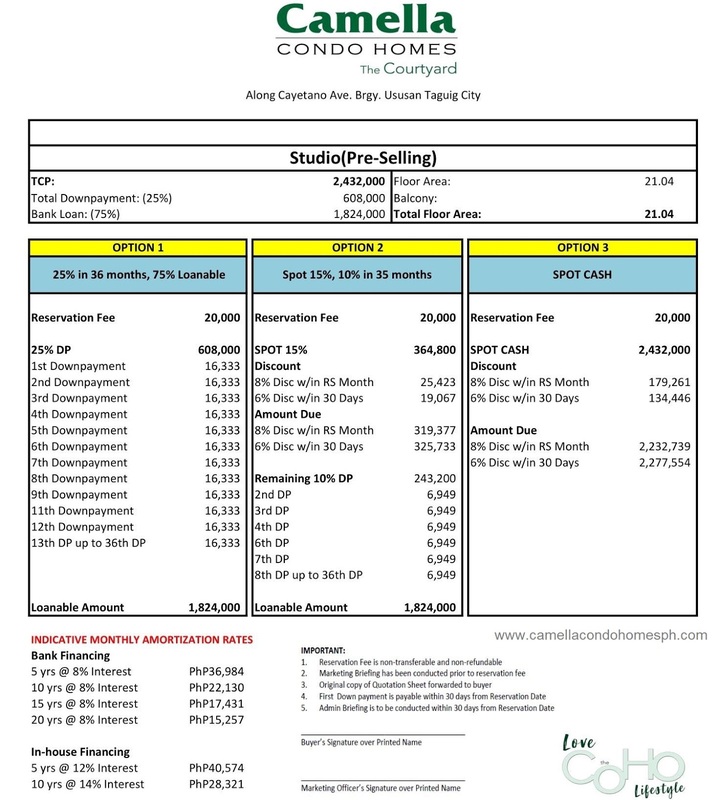 Do not miss the opportunity and call us now at +63906 306 6330 for further information. Experience exclusivity and luscious lifestyle for an affordable price NOW here at Pine Suites Tagaytay by Camella Condo Homes. 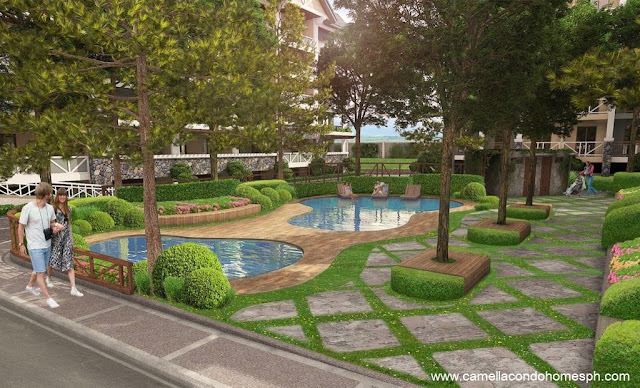 * It is located at the highest point in Cavite. * Its has 34 barangays, 13 of which are along the national road. From Manila, ride any bus going to Tagaytay via Aguinaldo highway. Get off to at Magallanes SquareHotel (NEAR LESLIE’S RESTAURANT) Take tricycle going to Pine Suites Tagaytay. 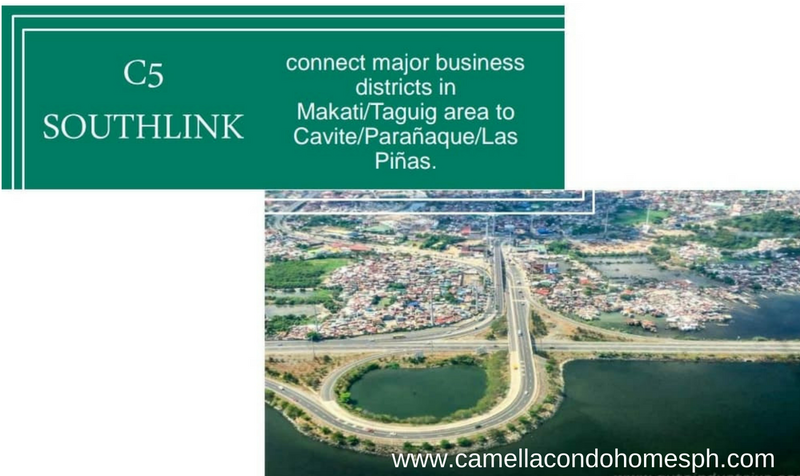 Take South Luzon Expressway (SLEX) and exit to Eton City via Nuvali Road (this is the fastest route) and straight ahead until you reach Tagaytay Rotonda. From there, go straight ahead at least 2km then you will see Bonifacio Drive Arc in front of Canossa Retreat House. 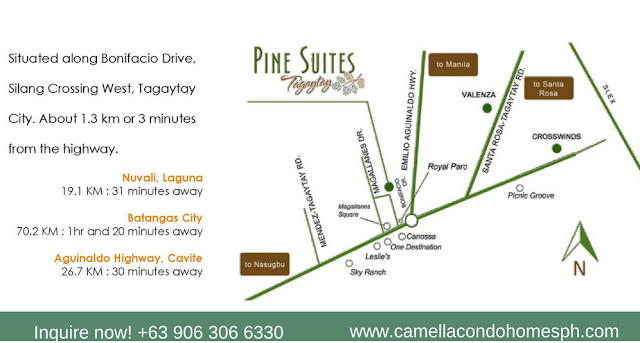 Turn right and straight ahead until you reach Pine Suites Tagaytay. 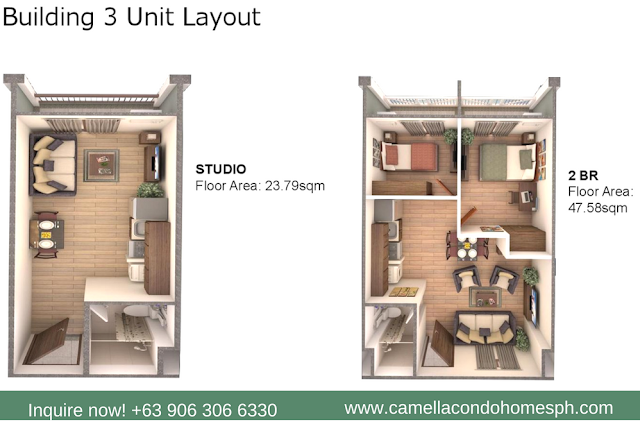 CAMELLA CONDO HOMES THE COURTYARD where you can find comfortable spaces in a highly accessible location. 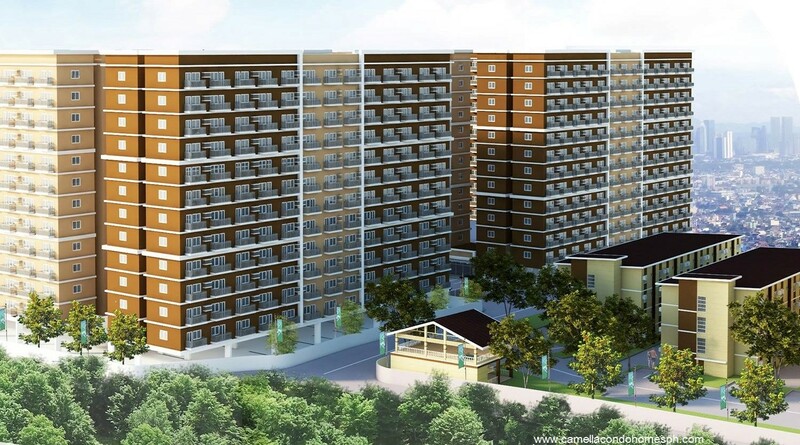 Located along Pedro Cayetano Ave. Brgy. 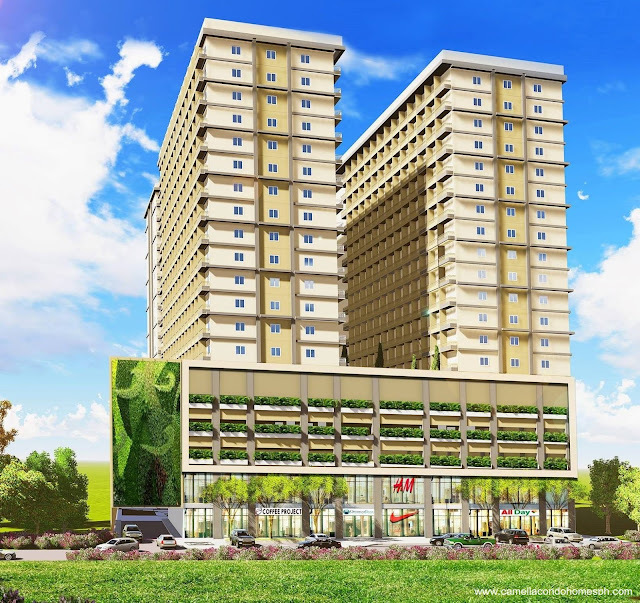 Ususan, Taguig City for only P18,000 monthly. 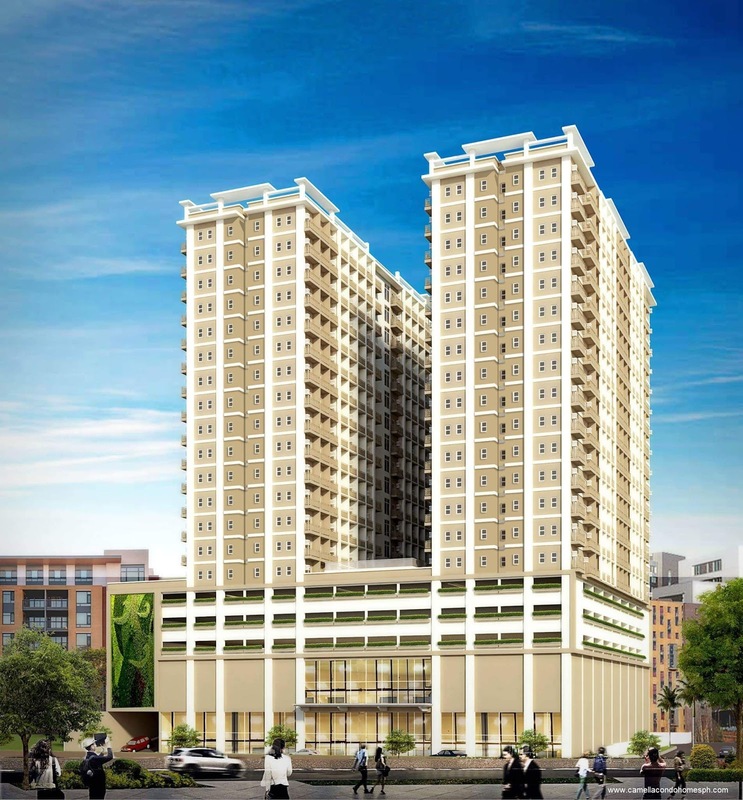 The Courtyard is a mix of commercial and residential condominium development situated at the heart of Metro Manila which can address every person’s needs and preferences. A 700-meter 2-lane concrete pavement has been added to the Laguna Lake Highway. This project allows passengers to reduce travel time from Bicutan to Taytay, Rizal to 30 minutes only! and eventually to Calamba and Los Baños City! Laguna Lake Highway is part of the administration's Build Build Build. Stay tune for more infrastructure development near Camella Condo Homes The Courtyard. For more details,questions and schedule for tripping you can contact 0906 306 6330. 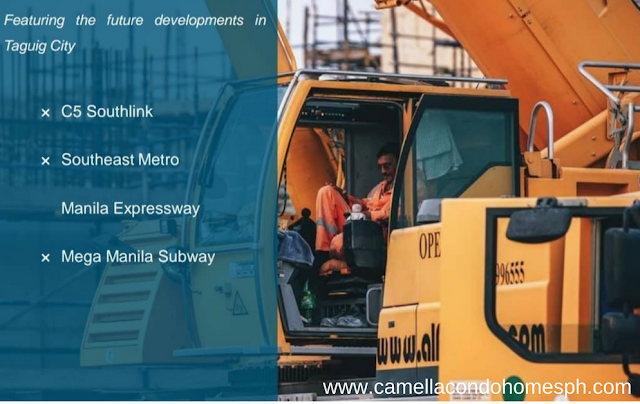 Taguig City ranked top among the cities for ease of doing business and investment in the Philippines. 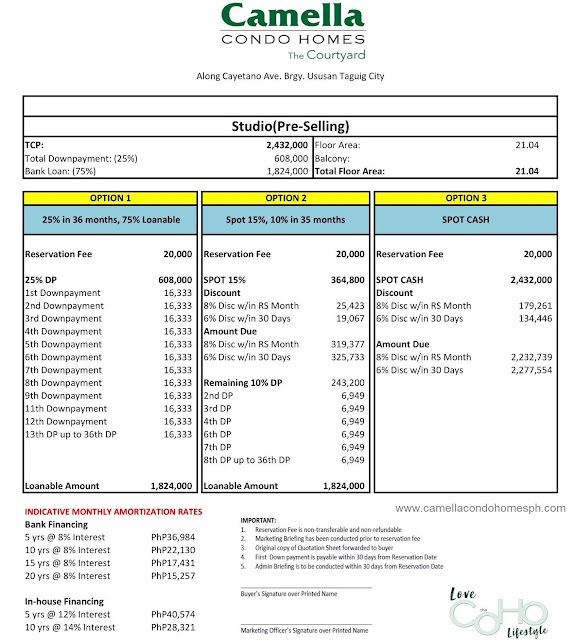 Rapidly transforming into a modern, financial, and commercial hub. 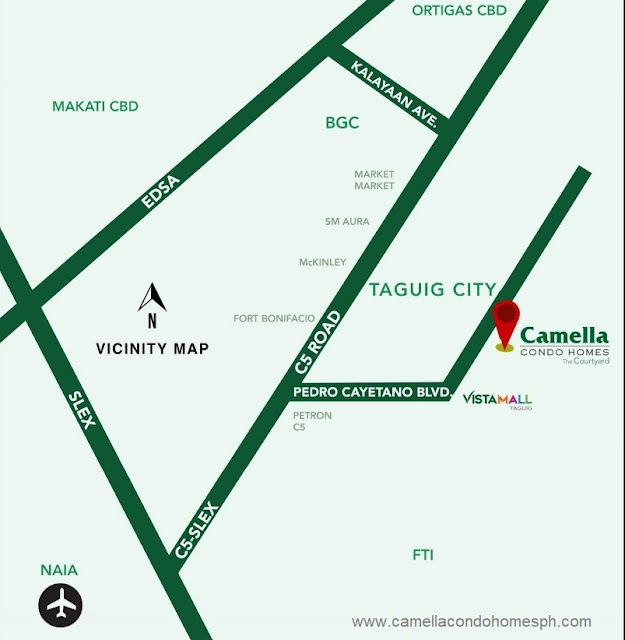 Located at prime locations where everything you need is right next to you. 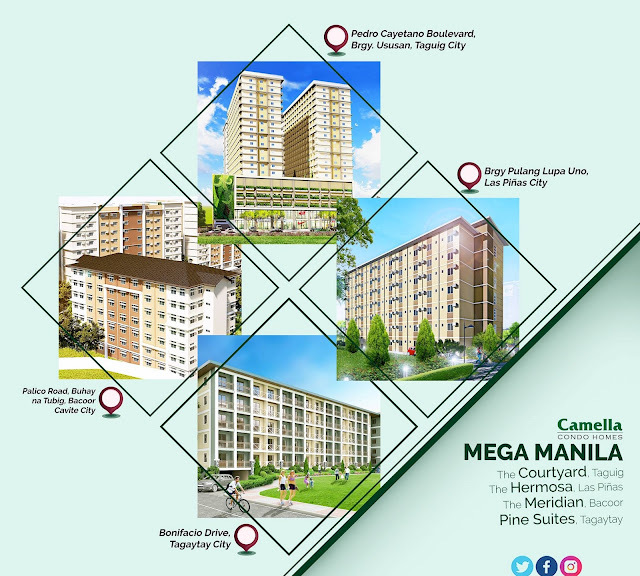 Camella Condo Homes is the new standard of affordable and upgraded lifestyle in the city.